Online gambling is a favorite pastime of millions of people around the world and Finns are hardly an exception. Finnish people love to partake in a variety of gambling activities as becomes evident by various surveys which indicate Fins can spend up to €10 billion on slot machines, virtual casino gaming, lottery tickets, and sports betting per year. A state-controlled monopoly has been at hand in the country ever since World War II. While Finland ranks fifth in the list of largest gambling nations worldwide, its legislation on gambling remains quite rigid and is pretty much the same as it had been for the past seventy years or so. Over the past decade, a number of foreign online gaming operators have attempted to enter the lucrative Finnish gambling market but to no avail. The country has so far refused to open its monopolized market to foreign competition. 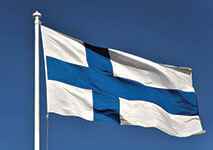 Both landbased and online gambling are currently legal in the Republic of Finland, but the regulations the country has imposed are extremely tight. Landbased gambling is regulated by the so-called RAY, which stands for Raha-automaattiyhdistys, or the Finnish Slot Machine Association. This state-owned entity was established quite a while ago, in 1938, and is responsible for the control of all forms of brick-and-mortar gambling including slot machines, card games like blackjack and poker as well as other traditional table games such as roulette. What is more, RAY also holds a permission by the Finnish state, allowing it not only to oversee, but also to manufacture landbased slot machines. This regulatory body is widely known for its slots, yet it also regulates all interactive gaming activities and owns the largest official casino in the country, the Grand Casino Helsinki. Casino Helsinki is the place where a wide range of poker tournaments are held throughout the year, including the popular Finnish Championship Tournament which attracts some of the best poker players in the country. In addition, RAY secures and grants funding for all health and addiction problems, associated with pathological gambling. Another regulatory entity in Finland is the so-called Veikkaus Oy, which is actually the Finnish National Lottery. This entity is responsible for the control of national lottery tickets, instant win games, and sports betting activities on the territory of the country. Similarly to RAY, Veikkaus is owned by the government of Finland and is managed by the country’s Ministry of Education as strange as it may sound. The profits generated by Veikkaus are shared between the Ministry of Education and several others organizations to spend on different social and cultural areas like youth work, arts, science, and sports. The third state-owned regulatory entity in Finland is the Fintoto Oy, which is an organization overseeing gambling activities that have to do with horse racing and parimutuel betting. Similarly to Veikkaus Oy, this entity invests the profits it generates into the Finnish state organization Suomen Hippos, which oversees the registration and breeding of horses. As of January 2017, all three entities merged into one government-owned organization, simply called Veikkaus. There is a fourth regulatory entity in Finland, called PAF, which stands for “Play among Friends”. This one is responsible for the regulation of all gambling activities that take place within the territory of the Aland province. The latter spans over 6,700 islands and is actually a former Finnish province which acquired a status of an autonomous region as of 2009. The organization was established in 1966 but after the advent of the internet, when online gambling gained popularity, PAF and RAY actually became major competitors. The former started providing online casino betting in 1999, but the enforcement of the 2002 Act on Gambling led to RAY becoming the only officially authorized online gambling provider in mainland Finland. Since PAF offered more appealing prizes and better odds, the majority of mainland Finnish players preferred it over RAY. Members of RAY’s governance went as far as to take the issue to court. However, the Finnish government stepped in and settled the matter by allowing the two organizations to operate concurrently. As was mentioned above, the country has chosen to monopolize the market which is controlled strictly by four different governmental institutions. As we have already explained earlier, online gambling activities on the territory of Finland are completely legal, but the regulations in the country are so tight that Finnish players who wish to legally bet on the web are left with an extremely limited number of options. The trouble is RAY and PAF are the only two organizations that are allowed by the Finnish authorities to legally run interactive gambling websites. This has led to the establishment of a gambling monopoly in the country, which is to say it is considered illegal for international gambling providers to offer their services to residents of Finland without having obtained licenses from Finnish authorities first. Unfortunately, Finland’s government is not too keen on granting licenses to international operators despite the pressure it has suffered on behalf of the European Commission. In 2010, popular gaming developer Playtech managed to sign a contract which enabled it to provide its high-end gambling software solutions and products to the online casino, run by RAY, where a poker room is also available. Apparently, the government is reluctant to allow its residents to spend their money on any gambling websites which operate outside the country’s borders. As of 2010, Finland even went as far as to introduce a new piece of legislation which banned offshore gambling providers from advertising and promoting their products and services to Finnish residents. But Finnish authorities did not stop there as foreign gambling operators were also prohibited from using domains ending in the .fi extension. If an international gambling operator is caught red-handed, they risk legal persecution and serious repercussions, such as a two-year jail sentence and a hefty fine. Nevertheless, there are no known cases of Finnish players being persecuted by the law for participating in online gambling activities on websites that are based outside the country. The current legislation is applicable to foreign gambling operators and there is no particular law to prevent residents from betting on international gaming websites. More importantly, there are many foreign operators that are more than willing to accept registrations from Finnish players. On that note, it is also worth mentioning that processing a payment to an online casino is possible for Finnish players since financials transactions to and from online casinos are not monitored by the government. Banking institutions are also not prohibited from processing such payments. The same applies to the IP addresses of foreign gambling sites – they are neither monitored, nor blocked, which allows for an easy access on behalf of Finns. What further adds to the convenience of Finnish players is the fact that international gambling operators accept a variety of currencies, including the widespread EUR, which helps avoid incurring currency conversion fees. Furthermore, residents of Finland are given the opportunity to choose from a nice range of secure banking methods, which are suitable for processing payments from this particular country. Some of the most popular options include Euteller, Nordea, Zimpler, as well widespread credit and debit cards. Finnish players can have their peace of mind knowing that the winnings they generate while betting at online casinos are not subjected to any taxes on behalf of the government. However, this is not the case as far as the gambling operators themselves are concerned. The Finnish laws impose a taxation to both online and landbased casino operators as the latter are required to pay 8.25% of their gross profits in taxes. Meanwhile, the taxation on lotteries is set to 9.5% of their annual gross profits. Various statistics indicate that Finns are extremely fond of both online and landbased gambling, so it would make sense for the country’s government to open its gambling market to foreign-based online operators. Unfortunately, licenses are granted only to the local companies we have mentioned above. Gambling has always been a popular pastime in Finland and Finns are known to have partaken in such activities ever since the 17th century. It was prohibited for a short period of time in 1899 but the ban was lifted less than twenty years after, in 1917. Despite the fact Finland has a long history when it comes to gambling, the government appears rather reluctant to further the sector’s expansion by opening its market and issuing local licenses to international operators that offer interactive casino games. Market expansion will result in yet another benefit for players as it would provide them with adequate protection against unreliable foreign gambling websites and potential scams. The tight regulatory policies of Finland have been addressed by the European Commission on several occasions. Back in 2010, the Commission put pressure on Finland and called for some changes to be made to its rigid gambling regulations so that they can comply with the European Union’s policies on free trading. The Commission requested some changes to be made on what it referred to as Finland’s “protectionist” policy on gambling. Instead of opening its market to foreign operators, the country responded by adapting its monopolized regulatory system so that it fits the requirements of the EU. The “change” involved merging the three state-run regulatory bodies (RAY, Veikkaus Oy, and Fintoto Oy) into one entity, called Veikkaus. Despite the fact gambling is a widespread pastime activity in the country, Finns themselves are not stressing over the limited number of local casino providers they are presented with. This may come as a surprise, but according to a survey conducted by one of the popular media outlets in the country as many as 66% of the older participants voted in favor of preserving the state monopoly on online gambling. Maybe all this would change in the future but given the current legislative climate in the country, Finland is unlikely to see gambling market expansion anytime soon.